If pulling off a classy look with panache is what your fashionista dream made of, this kurta from Imara will surely become your instant favourite. It is sleeveless and comes in a slub pattern that renders it stylish. It also scores high on the comfort quotient owing to the use of a premium quality fabric in its tailoring. Head to any casual outing in style by wearing this kurta with a pair of leggings and wedge sandals. 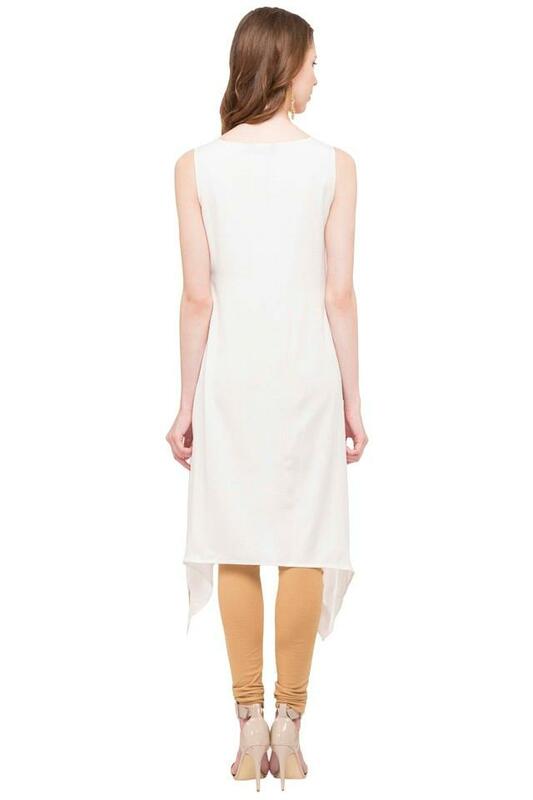 It comes with an asymmetrical hem that adds a touch of exclusivity to its design.